Side Effects: Patients may experience swelling and bruising after treatment which will gradually resolve over several weeks. Risks: There are possible complications that are associated with undergoing any type of surgery. Anytime a patient has surgery, there is a risk of bleeding, infection or stiffness in the knee. Recovery: Most patients return light physical activity 6-8 weeks post-surgery. The anterior cruciate ligament (ACL) is one of four major ligaments in the knee, and one of the most important as it pertains to knee stability. When an injury is sustained to the ACL, the knee loses stability and will most likely require reconstructive surgery in order to be able to hold up during the stresses of athletic activity. Steven W. Meier, M.D., Director of Meier Orthopedic Sports and Regenerative Medicine in Los Angeles, is an orthopedic surgeon who specializes in minimally invasive ACL reconstructive surgery. If you or someone you know has suffered an ACL injury, contact Dr. Meier in Los Angeles today at 310.736.2793 to schedule a consultation. The anterior cruciate ligament (ACL) and the posterior cruciate ligament (PCL) cross each other in the center of the knee. The medial collateral ligament (MCL) and lateral collateral ligament (LCL) run down the inside and outside of the knee, respectively, helping provide stabilization against sideways forces acting upon the knee. When one or more of these ligaments is injured, the knee can buckle, or give way. Arthroscopic knee surgery is recommended when the damage to the ligaments is great enough so that there is lingering structural deficiency, which makes it difficult for the patient to move freely because the knee fails to support the body. Previously, traditional, “open” surgeries were the only option. Those types of surgeries required large incisions that cut through all the layers of skin, tissue, and muscle so that there was room to perform the surgery through a direct opening. Recoveries from a major reconstructive surgery could previously take a year and a half. Nowadays, minimally invasive arthroscopic surgery can be utilized to reconstruct knee ligaments and repair other damage to the knee. This means that today’s ACL surgeries require just two or three small incisions, through which surgical instruments can be inserted into the knee joint, and now recovery timelines are much shorter because less damage is done overall to the body in the process of surgical repair. Arthroscopic surgery is designed to be able to visualize and repair structures of the body in a minimally-invasive fashion. An arthroscopic procedure involves two or three small incisions. Through these openings, orthopedic surgeons insert an arthroscope, which is a small instrument with a light and camera used to see inside joints, as well as tiny surgical tools, in order to perform the operation. Because of the minimally-invasive nature of the procedure, potential scarring is minimized, and surgical recovery times are considerably shorter. The best part, of course, is that minimally-invasive surgery is as effective as traditional, “open” surgery. Knee arthroscopy starts with two or three small incisions into the knee joint. The arthroscope is placed into an incision to allow the orthopedic surgeon to visualize the inside of the joint, especially the damaged ACL. The other incisions allow for the surgical instruments to be placed inside the joint to accomplish the surgery. The ACL injury, if severe enough to require surgery, will require a reconstruction of the anterior cruciate ligament. There is no ACL “repair”. Surgeons do not try to repair the torn ACL because experience has shown that repairing the tissue does not work. Instead, all surgical ACL cases are “reconstructions” because an entirely new piece of tissue will be crafted in order to recreate the original positioning and function of the ACL. If you need surgery to treat your torn ACL, your surgeon will discuss with you how this will be done. 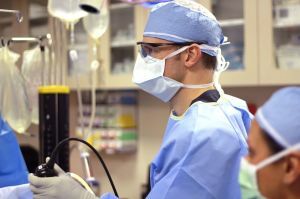 Dr. Meier performs his arthroscopic surgeries in an outpatient surgery center in Los Angeles, CA. Patients are sedated for the procedure but can go home the same day of surgery. After the operation, dressings are placed over the incisions, and a wrap is placed around the knee joint. Rehabilitation from an ACL tear could last many months. Patients are given a rehabilitation and physical therapy program designed to progress them gradually back to full health, depending on whether or not they have had surgery. Patients should be sure to progress gradually through their ACL injury rehab to avoid re-injuring the ligament. 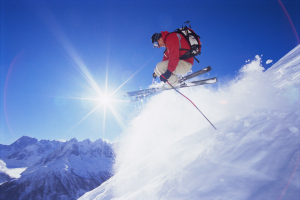 Immediately after surgery, the goal is to limit knee swelling and alleviate discomfort. Patients will also, early on, focus on regaining full range of motion of the knee through extension and flexion. Once that is accomplished, the next step is to regain strength in the muscles surrounding the knee. Approximately six to eight weeks post-surgery, patients should be able to begin light jogging, bicycling, or swimming exercises. A few months after that, once the muscles have regained their pre-surgery strength, simulated exercises for sports with side-to-side movements or pivoting (i.e. basketball, football, tennis), can again be performed. medlineplus.gov goes more in depth on recovering from an ACL tear. Dr. Meier and his team in Los Angeles have helped countless patients recover from injuries to their ACLs. His extensive knowledge and experience in arthroscopic surgery makes him one of the country’s foremost experts on the subject, and he has traveled the world to teach his methods to physicians in developing countries. Contact Dr. Meier and his team of experienced orthopedic surgeons in Los Angeles today at 310.736.2793 to schedule an appointment for a consultation in the Beverly Hills office. Next, learn about Arthroscopic Knee Surgery.